The Westkin Notebook was sent to me from it’s makers Book Block to test out for review on this blog. The opinions expressed in this review are my own and aren’t influenced by Book Block in any way. 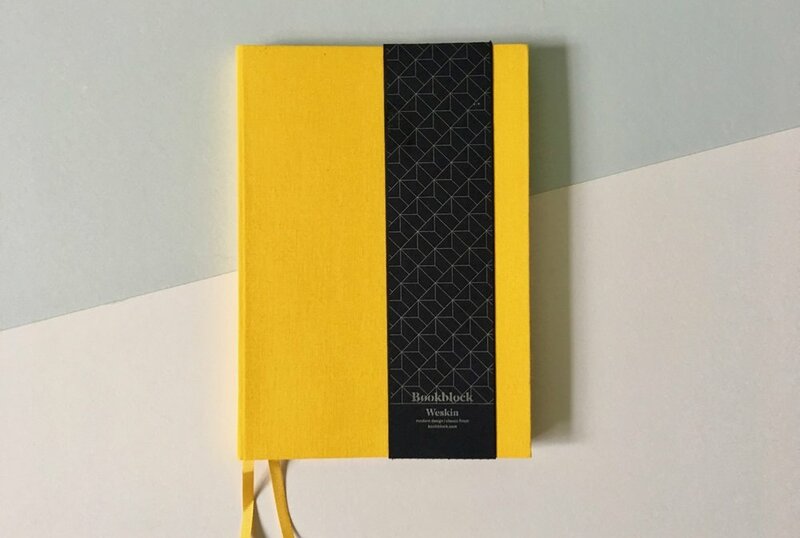 Normally Book Block deal in custom made notebooks, however the Westkin notebook is their first standard notebook offering. It comes in a three different colours - navy, yellow and grey. 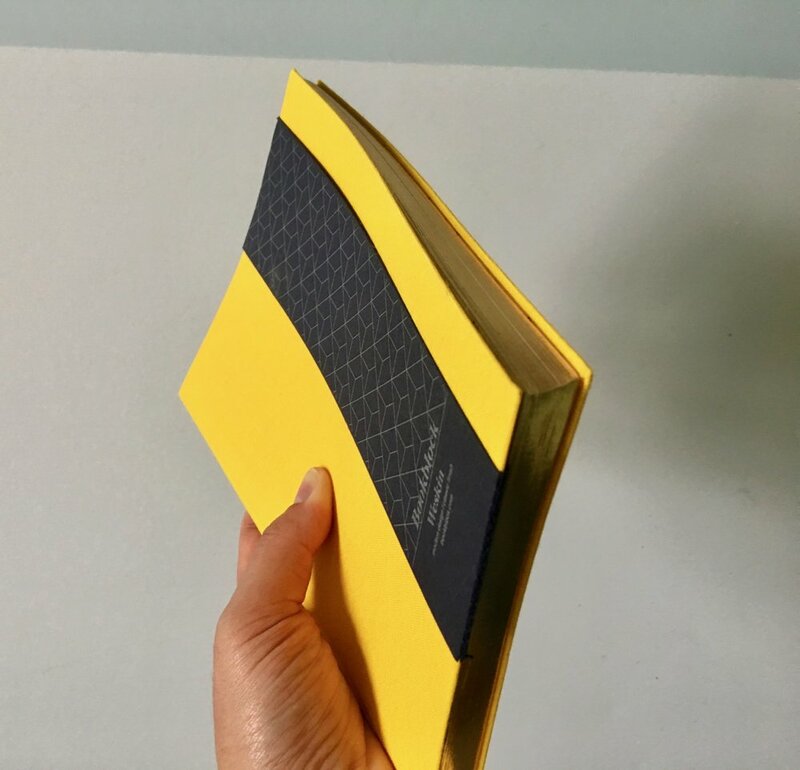 I opted for the vibrant yellow and have been using my notebook as my morning journal for the past few weeks. The Westkin notebook has a material, semi flexible cover that doesn’t compromise any sturdiness that may be expected from an A5 notebook. The cloth exterior gives this notebook texture that feels nice in your hand. 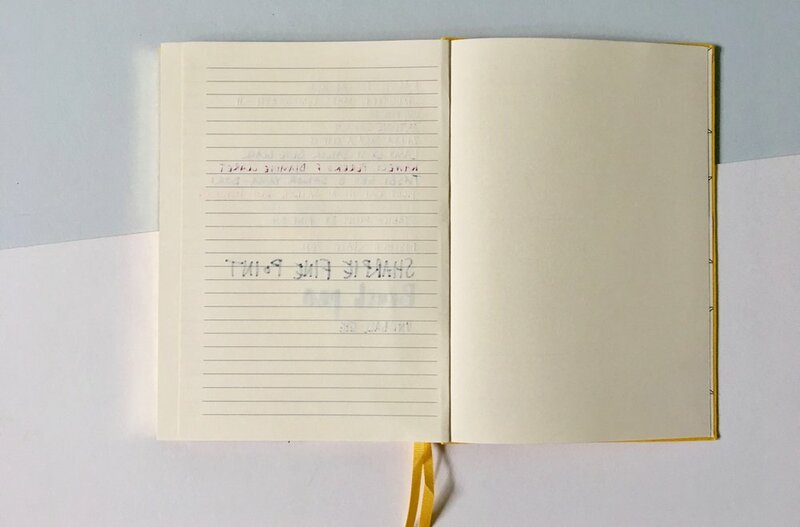 This notebook sits firmly in-between a hardbound Leuchtturm1917 style notebook and soft cover notebook. The positives with this notebook are that it lays flat which is something I've come to expect but at the same time still a big win. I hate wrestling with a notebook to make it stay open on my desk. It has two bookmarks that are a useful length and have held up well with no fraying. One of the really noticeable things with this notebook is the gilt edges. Whilst this is distinctive it doesn’t work with the overall design of the notebook. 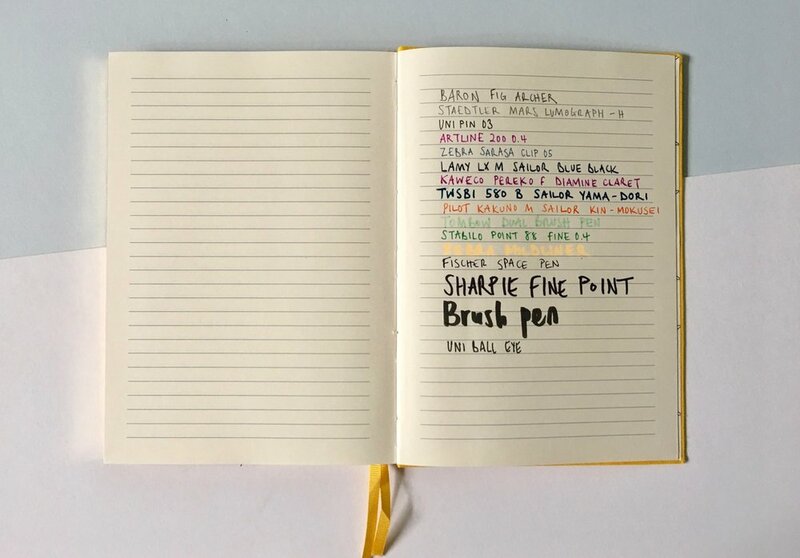 Extras such as this are fine if the other aspects of the notebook are good…but I think there are a few areas where this notebook doesn’t fulfil the stationery enthusiasts/writers needs. The Westkin notebook has lined ivory paper. The ruling doesn’t cover the full width of the page and you’re left with a small border that feels like you’re wasting space. The ruling is a little dark but the lines are nice a thin and do fade into the background once you've filled a page. The first area which I believe needs some improvements is in paper stock. I ran a simple pen and pencil test and most of my pens held up well. There were a few fountain pens and inks did give me some serious feathering on the page and bled through. My Kaweco fountain pens performed particularly badly on this paper and you can see the bleed through in the photo below. Rollerball pens like the Uni-ball Eye also bled through so it would appear any wet ink causes issues on this paper. I have mixed feelings on the Westkin notebook. It’s nice, I like the cloth cover, the double bookmarks and the ivory paper. However the one thing that makes me reach for a notebook time after time is the paper quality. It's a challenge for brands to tick all the boxes and it’s hard to satisfy all users needs, however there are other brands that are achieving a high level of quality. By Book Blocks own admission the Westkin notebook is positioned as a high end, premium notebook, therefore I would expect better paper stock that could handle my fine and extra fine nib pens from bleeding and feathering on the page. I would like to thank Book Block for sending me this notebook to test and try out.